Joel Feder June 21, 2018 Comment Now! 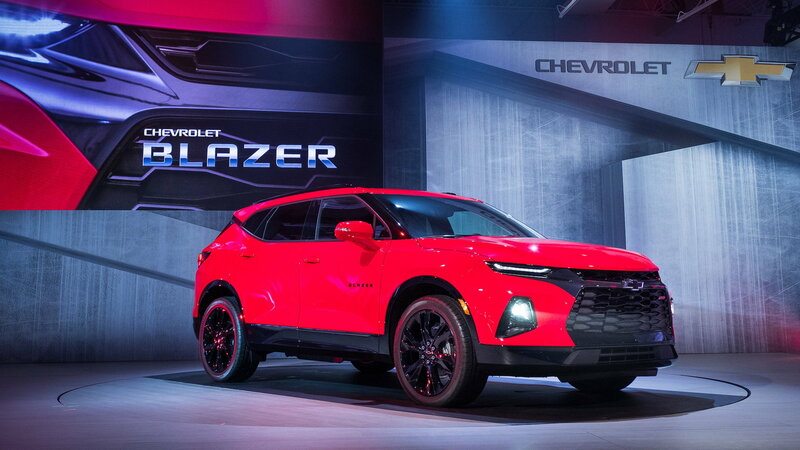 What's old is new again, as Chevrolet formally took the wraps off the 2019 Chevrolet Blazer Monday night in Atlanta. Enthusiasts hoping the return of the Blazer nameplate would mean Chevrolet is ready to square off with Ford's upcoming Bronco will be disappointed. The new Blazer trades its namesake’s body-on-frame construction with four-wheel drive for a unibody structure with front-wheel drive and optional all-wheel drive. Basically, it's another family crossover for the bowtie brand. The 2019 Blazer slots between the Equinox and Traverse in Chevrolet's crossover SUV lineup. It's a two-row, five-seat mid-size crossover SUV. 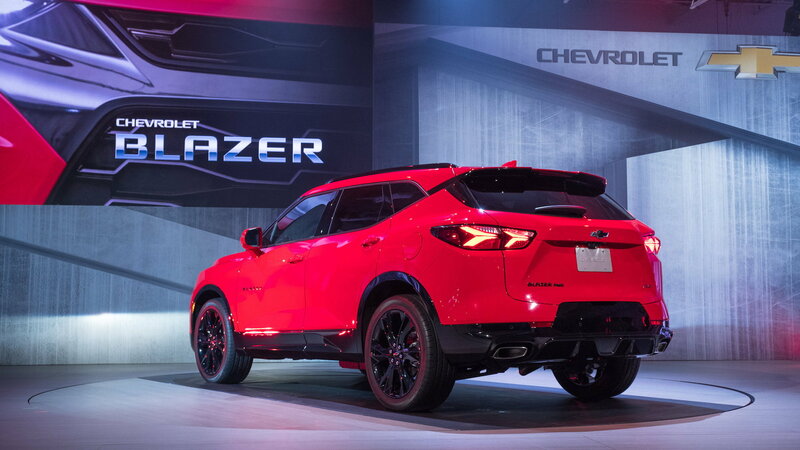 Style-wise, the Blazer looks like a cross between an angry 2019 Acura RDX and a 2019 Chevy Camaro. It has a massive grille, LED daytime running lights, a window line that sweeps upward at the rear, and the now-popular floating roof treatment with blacked-out pillars. Motivation is provided by a 2.5-liter inline-4 rated at 193 horsepower and 188 pound-feet of torque in base form. Those needing more grunt will opt for a 3.6-liter V-6 producing 305 horsepower and 269 lb-ft of torque. Regardless of engine choice, power is sent to the drive wheels via 9-speed automatic transmission. A Traction Select system lets drivers change throttle and stability control calibrations to aid in slippery traction situations. True four-wheel drive isn't on the shopping list. Front-wheel drive is standard with an optional base all-wheel-drive system that must be turned on. A more advanced twin-clutch all-wheel-drive system that is able to vary power to the rear wheels to aid with handling and traction will be available on top RS and Premier models. With the right boxes ticked, the Blazer is capable of towing up to 4,500 pounds. Inside, the rear seat will slide fore and aft to increase either rear leg room or cargo capacity. Fold the second row down and the Blazer will haul 64.2 cubic feet of stuff. 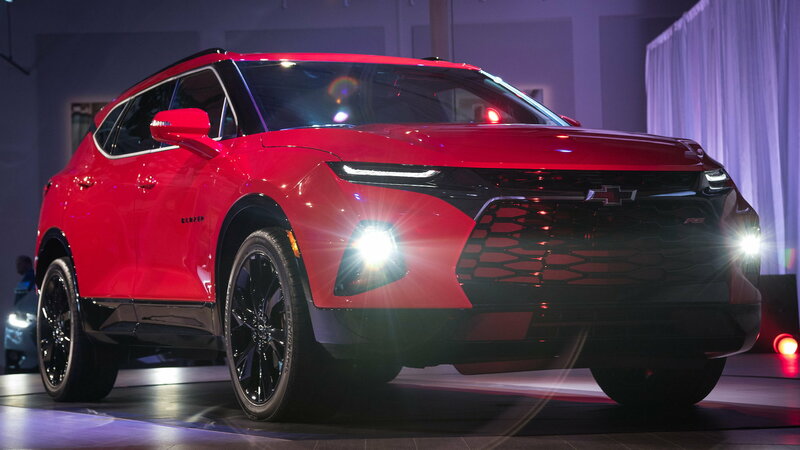 While Chevrolet didn't announce the Blazer's full feature set, it said all models will feature an 8.0-inch touchscreen infotainment system with Apple CarPlay and Android Auto, along with 4G LTE connectivity that enables a Wi-Fi hotspot. 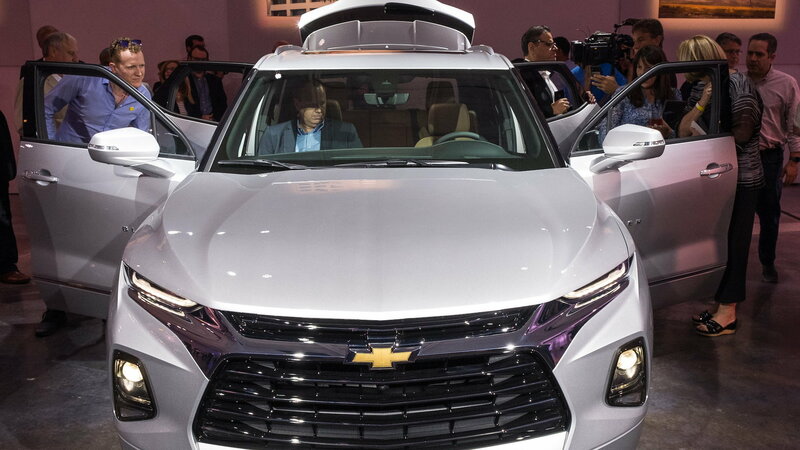 Available features are set to include heated and cooled front seats, a heated steering wheel, heated rear seats, an electronically lockable glovebox, a cargo management system, wireless smartphone charging, 6 USB ports, a hands-free power liftgate, and a panoramic twin-pane sunroof. Safety tech such as adaptive cruise control and a rear camera mirror will be available on top RS and Premier models, but a full list of safety features been released. Chevy will also offer hitch view for the rearview camera. 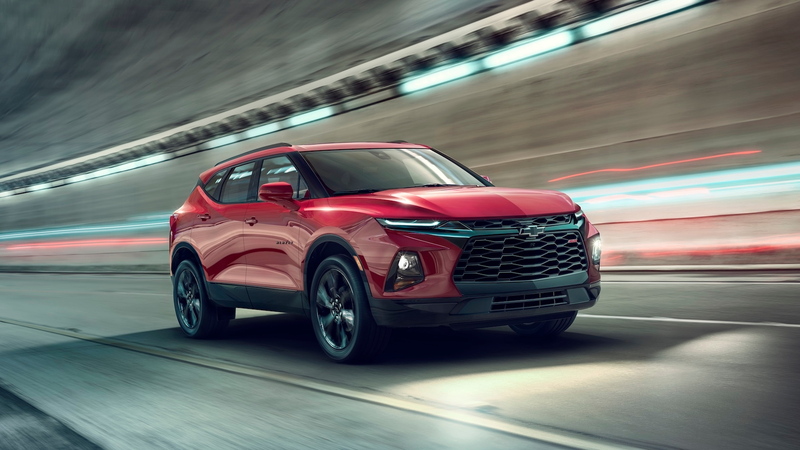 The new 2019 Chevrolet Blazer will go on sale in early 2019. Pricing, fuel economy, and other details will come closer to launch.